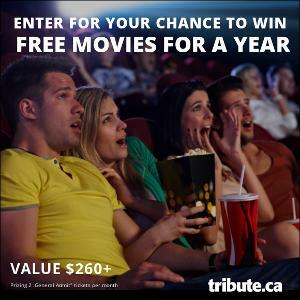 Prize: Free Movies for a Year: two general admit tickets per month for one year. Tickets are valid at Cineplex Theatres Only and are for “general Admission” ($264). Statistics: This contest was opened by 119 and entered by 29 ContestChest.com members. 24% of those who opened the contest, entered it.